Assignments | LEARNING ENGLISH IS FUN! Download the file Collecting the Past. Read the sentences , try to understand the meaning of the underlined words and explain the meaning in English. Please download the file Famous Department Stores. You are expected to do some research and write a piece of advice. The deadline for your task is May 8, 2015. 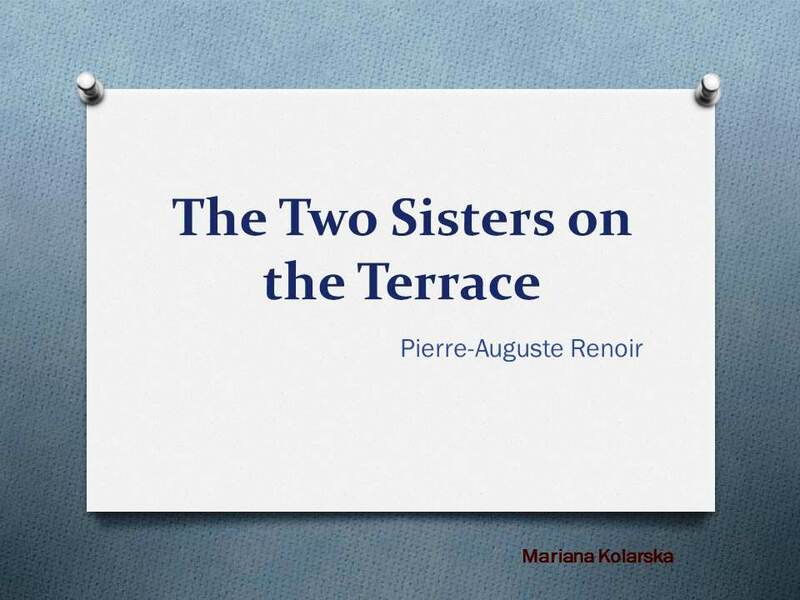 Please download the presentation The Two Sisters on the Terrace . Use the presentation, pay attention to the questions in it and write a summary about the painting. Download Murder in a Country House and complete the tasks. This is the last task for the students from the 8th grade. Download the presentation Reported Speech and study the material, do the exercises on the last two slides. Thank you for being wonderful students!